March 17, 2016, Orem, UT — East Tennessee Health Information Network (etHIN), a non-profit, joint community Health Information Exchange serving 1.6 million patients across 20 counties in East Tennessee, and IMAT Solutions, a leader in delivering innovative, real-time, healthcare data management and reporting technologies, announced today that etHIN will implement the IMAT platform to support its base of local hospitals, physicians and community healthcare providers. 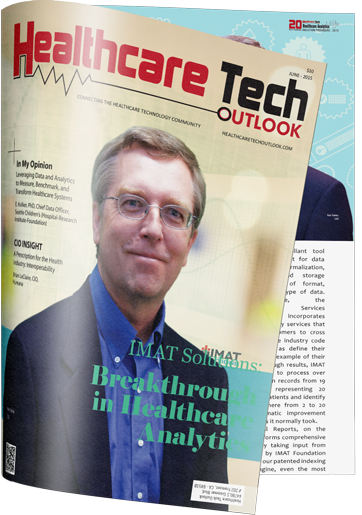 The IMAT Foundation Services, IMAT EMPI (enterprise master patient index), Consolidated Patient Chart, Clinical Reports, and Medical Analytics modules will facilitate full content data aggregation, normalization code mapping, analysis, and reporting from across all data stores to help etHIN deliver improved quality, efficiencies and reporting to its provider network. The ability to include unstructured data captured in physician notes and transcriptions as part of the reportable data sets. Once fully implemented, which should be by June of this year, etHIN looks forward to strengthening the reporting options it offers to healthcare providers who are utilizing the etHIN network, including stronger Quality, eMeasures, HEDIS and Star reporting, and richer, accessible data from narrative documents.